This thing is hard to fly but it has a lot of uses. Its really hard to get into orbit compared to other craft, the best I did was make it into orbit with 700m/s Delta V to spare. A stock rocket called ! 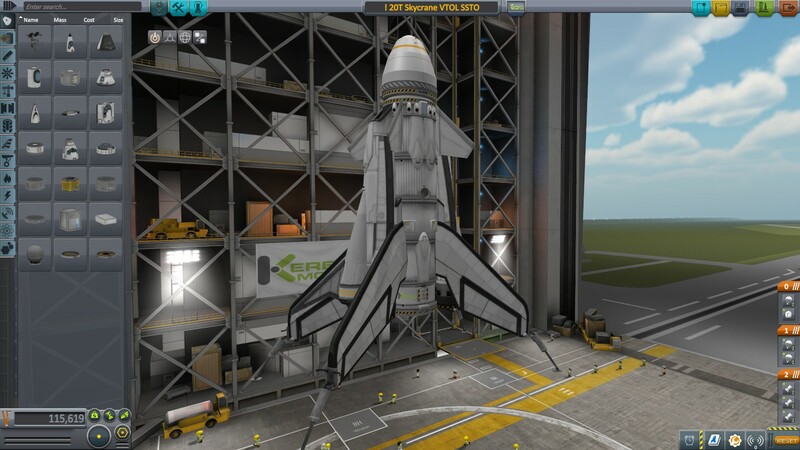 20T Skycrane VTOL SSTO. Built with 102 of the finest parts, its root part is mk2LanderCabin.